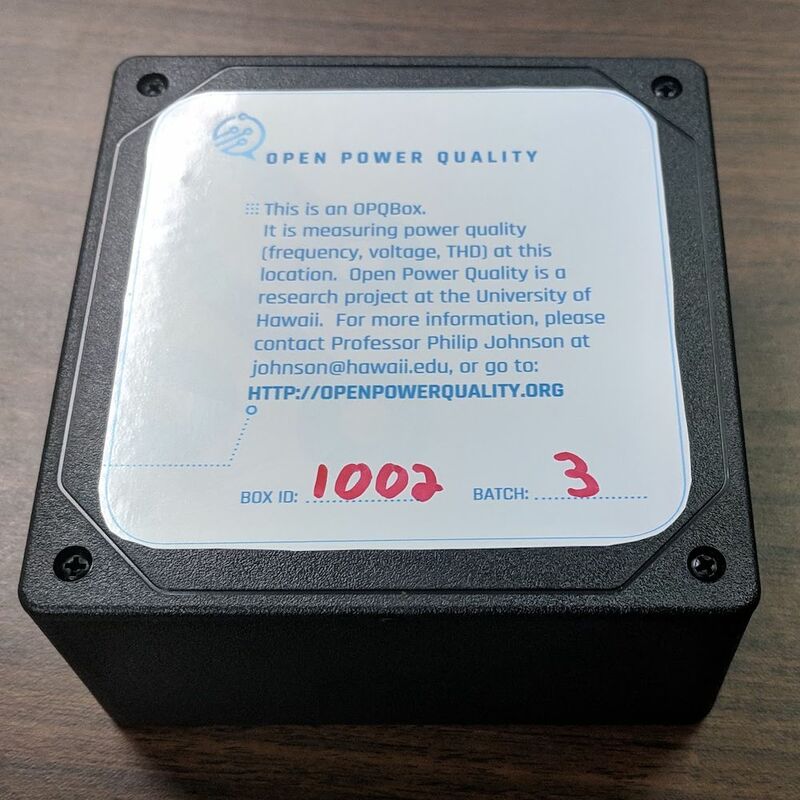 Open source hardware and software for low-cost distributed power quality data collection, analysis, and visualization. Our custom hardware, OPQ Box, samples the power quality waveform over 12,000 times a second, computing frequency, voltage, and total harmonic distortion. Once a second, OPQ Box uploads low fidelity summaries of this data to OPQ Cloud, our cloud-based software system. 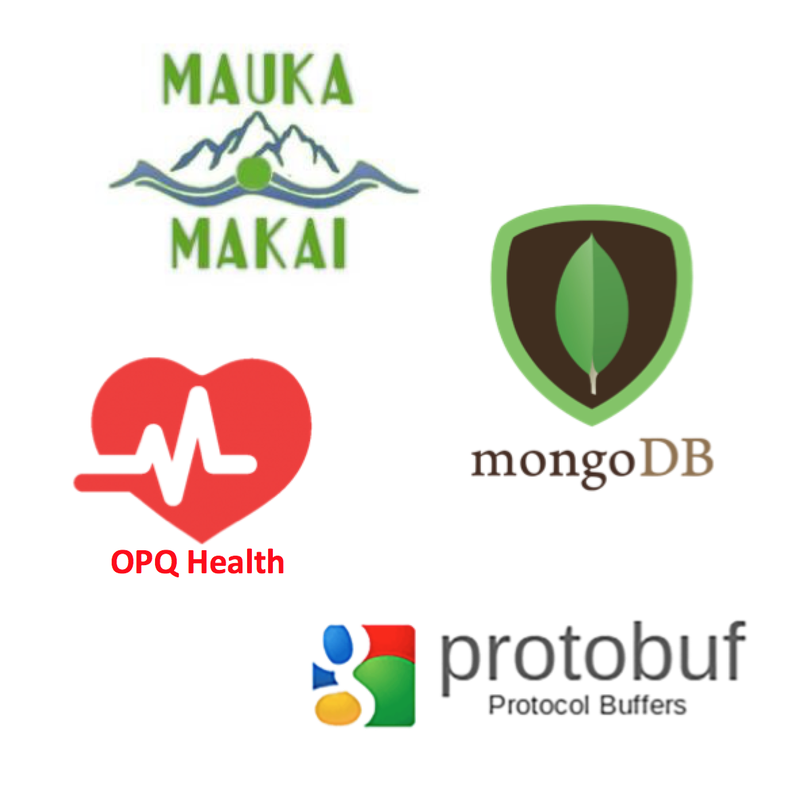 Our cloud-based software services include "middleware" called Mauka and Makai that process the PQ data sent from OPQ Box. When anomalies are detected, high fidelity waveform data can be requested from one or more OPQ Boxes to improve analysis and interpretation. 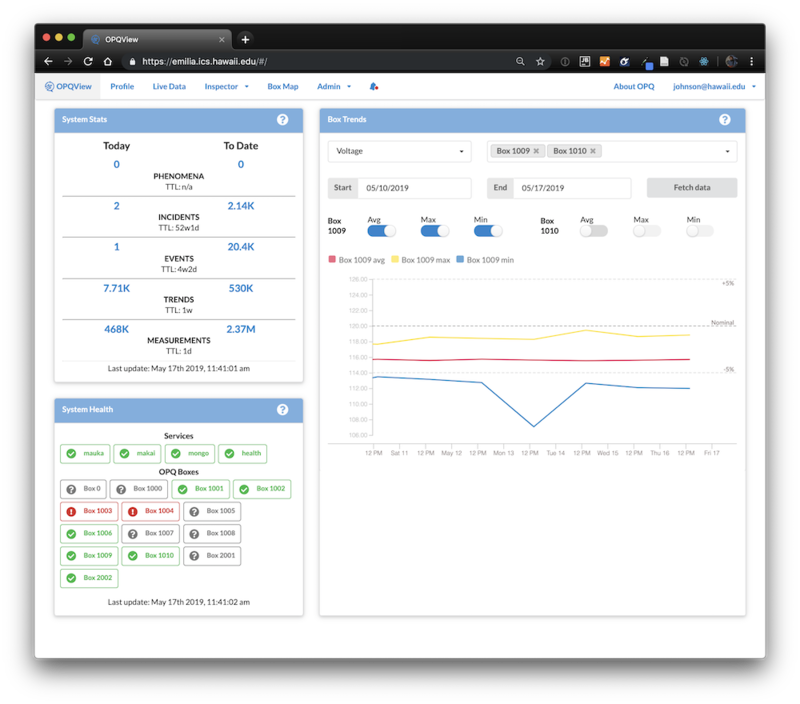 Our cloud-based software services also include OPQ View, a user interface providing configuration, visualization, and other analytics that enable users to better understand and control power quality both locally and across the grid. Just plug in an OPQ Box to any wall outlet within reach of a WiFi network, then use your browser to configure your box and tell it where to send the data. Your power quality data will be uploaded to OPQ Cloud and available for analysis immediately. Once a second, each OPQ Box sends a summary of the maximum and minimum frequency, voltage, and total harmonic distortion to OPQ Cloud. If the OPQ Cloud middleware needs higher fidelity data, it can request high fidelity data for any interval during the last ten minutes from any OPQ Box. When the same anomaly is reported by multiple OPQ Boxes at the same time, OPQ Cloud classifies it as grid-level. If there aren't multiple reports, then it's presumed to be local. OPQ gathers data on even minor power quality perturbations, but not all of them are actionable or meaningful to users. We are designing a configurable alert mechanism so that users are notified only when events of interest to them occur. Making power quality data useful often involves understanding the context surrounding an anomaly. Our design enables OPQ analyses to make use of weather and other contextual data to improve understanding and prediction. Our services include a plug-in architecture to simplify the addition of new analyses. In addition, we provide a data model specification so that other services can manipulate an OPQ MongoDB database directly if desired. OPQ provides useful infrastructure to support research on the impact of renewable energy on the smart grid. The OPQ Agile Power Monitoring project will help us better understand the UH microgrid. Working on OPQ enables me to learn about hardware, software, data science, software engineering, and sustainability.